The last week has been hectic. I am still waiting for my Angolan visa, i tried to phone and see if it might be ready a tad sooner. No luck, no answer. I picked up my Congo visa today like they promised. I didnt think that there would be any delay as i was the only person there on both days. 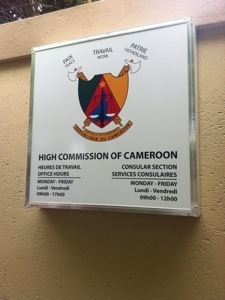 After picking up my passport from the Congo Embassy, I dropped it off at the Cameroon embassy. The guys were really helpfull and gave me sound advise. They promised to try and have it ready by Tuesday morning. My Angolan visa is also supposed to be ready Tuesday morning, so i will try and drop both passports off at Ghana and Burkina Faso. The situation in Mali has put some thorns in my planning. I am watching the news closely and keeping intouch with other overlanders in the region. Lets hope for the best. 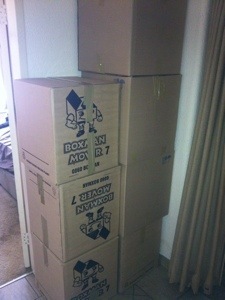 With 6 weeks to go packing and storing has started. 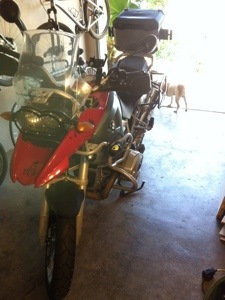 and the bike is ready! 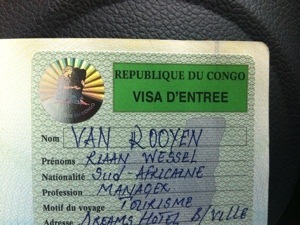 ← Visa’s…Day 6 – One Congo to the next.